Tonia Dolph Epps is the trainer / owner of Making Strides Equestrian. She is a USHJA (United States Hunter Jumper Association) Certified trainer, ( one of 17 in all of Georgia). 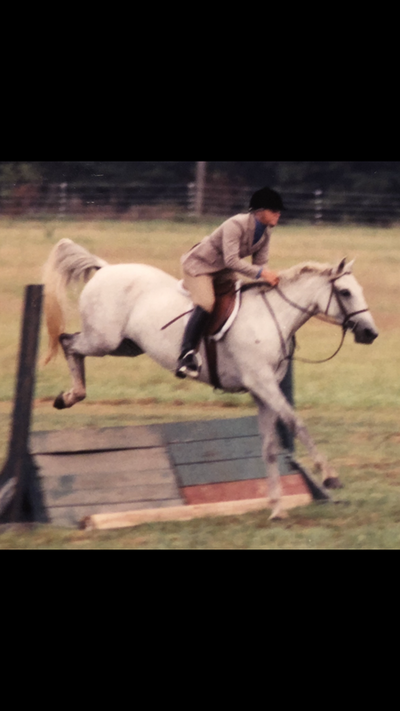 Previously Tonia served 2 terms on the board of GHJA (Georgia Hunter Jumper Association)., as well as many terms on the AAHJA board (Athens Area Hunter jumper Association). 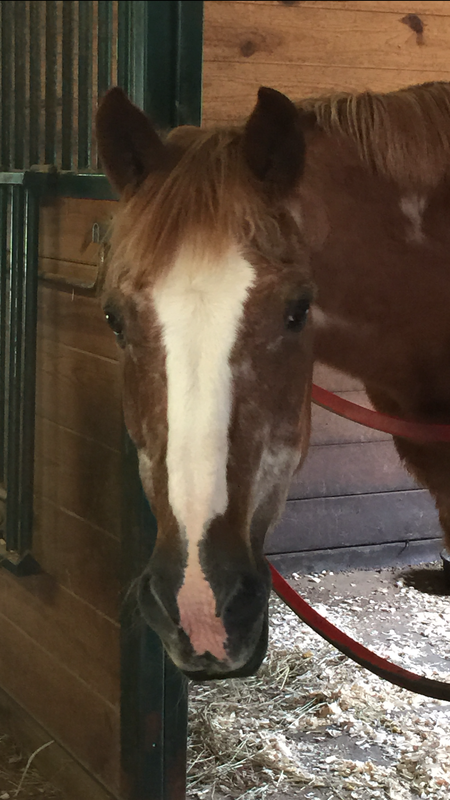 She is a member of USEF, USHJA, GHJA, AAHJA, GERL, AQHA, and APHA. On Sundays, in addition to barn life, Tonia is the Sunday School teacher for the K-5th grade classroom at church. 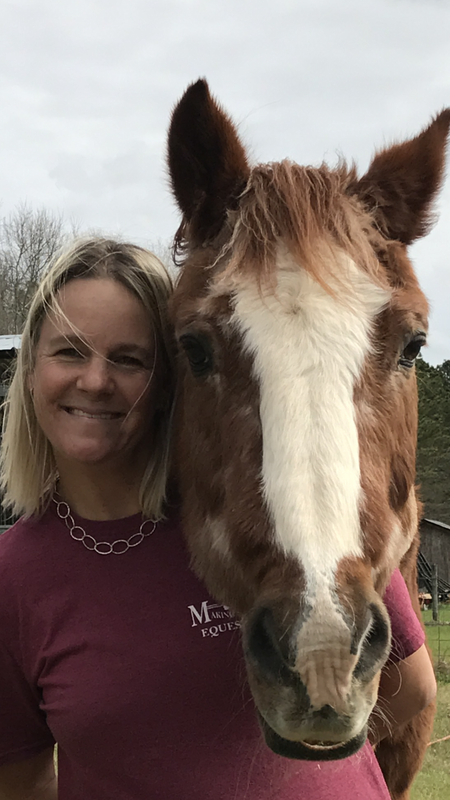 Tonia began instructing hunters/ jumpers/ equitation in 1988 when she helped with summer camps and beginner lessons while in high school. 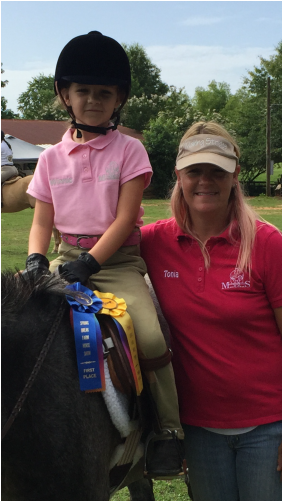 Tonia rode with Tammy Chase Young of Tamingo Farms in McDonough, Ga, since 1982. That same year, Tonia's first horse, Prelude Magnolia, "Magnum" was purchased and Tonia trained him with Tammy until Tonia left for college in the fall of 1990. 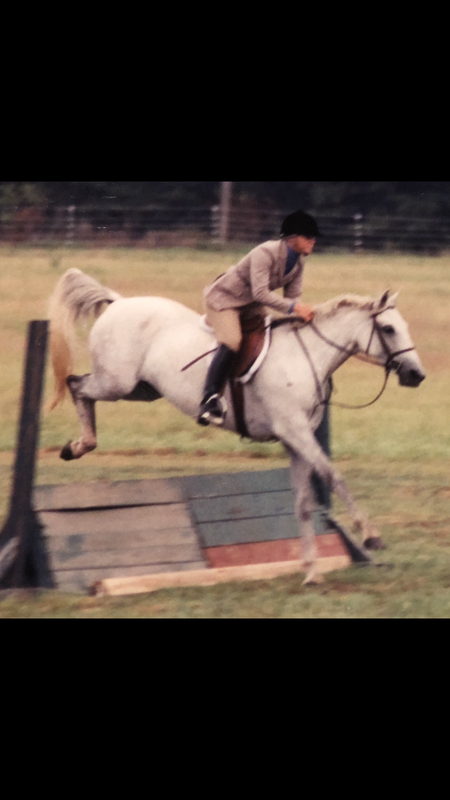 From 1982 to 1990, Tonia and Magnum started competing in Open shows doing English pleasure, then moved up the ladder to 3' hunters in Open shows. From there Tonia progressed to GHJA Hunter shows and USEF shows. At the same time, Tonia and Magnum competed in USDF dressage shows and showed to 3rd level. After that, Tonia and Magnum focused solely on Jumpers, doing Children's/ Adult at 3' and Schooling Jumpers at 3'6". Magnum celebrated his 38th birthday on March 7th 2017 and passed away in August 2017. He was Tonia's once in a lifetime horse and they enjoyed a 34 year friendship together. Magnum is the reason for Tonia doing what she does, it is because of Magnum that Making Strides Equestrian exists. His picture is on many pages throughout this website, He won various awards throughout his career; like winning USDF Quarter Horse Awards in 2nd level dressgae, high score junior awards in dressage, a GHJA Jumper Year-end championship, as well as various mini-association year-end awards in various hunter/ jumper/ equitation divisions. Tonia moved to Athens, Georgia in 1990 to attend UGA/ University of Georgia. While in college, Tonia continued teaching lessons and after graduating she became a full time instructor. Tonia's students range from 2 year old beginners to older adults. Many students that Tonia started have gone on to compete at National Pony Finals, National Equitation Competitions, and even competing abroad for Pony Club. Tonia expects her students to have concrete basics and a solid foundation. Tonia believes this is the key for improving and for being the best that the rider can be. Tonia likes to use drills and repetition for muscle memory and a great leg. 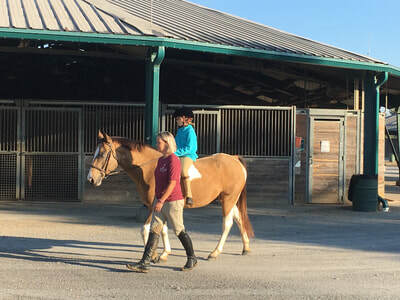 She likes her horses to be happy and tries to make lessons fun, but challenging. 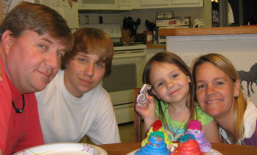 Tonia married Tommy Epps in the fall of 2004. She gained her step-son, Westley, along with the marriage. In 2007, Tonia's daughter, Winnie, was born. Westley rode for a good year or so and competed in the pre-beginner division on Golden Image, "Immy". Westley is now 21 years old. Winnie sat on her first pony at 2 months old and competed in her first lead line class in 2009. She rides as much as possible and names Immy and Fly as her two favorite ponies for getting her started. She is 11 years old and now rides Gizmo. Tommy drives the 5 horse head to head trailer, and helps with the ground work at the farm. Outside farm life, he is a full time plumber who owns his own company in Athens, T and E Plumbing and drain service. On Sundays he helps run the sound system at church.